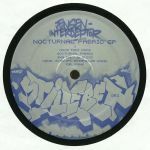 Review: There's no denying that Jensen Interceptor is one of electro's most "on-form" artists right now. 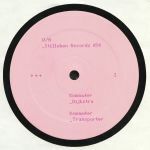 This five-track salvo on Luke Eargoggle's Stilleben label comes hot on the heels of fine outings for Central Processing Unit and Boyznoize Records. It's naturally every bit as impressive as its' predecessors, delivering a range of bold and bombastic electro workouts aimed firmly at peak-time dancefloors. We're particularly enjoying both the heavyweight drums, end-of-days riffs and computer beeps of "Nocturnal Fabric" and the mutant, deep space electrofunk of "YSL Funk", though there's plenty to set the pulse racing elsewhere on the EP, too. Even the record's trippy, downtempo moment - Assembler Code collaboration "Viral Scan" - hits the spot. Luke Eargoggle & Kan3da - "Zombie Floor"
Martin Matiske - "Computer Love"